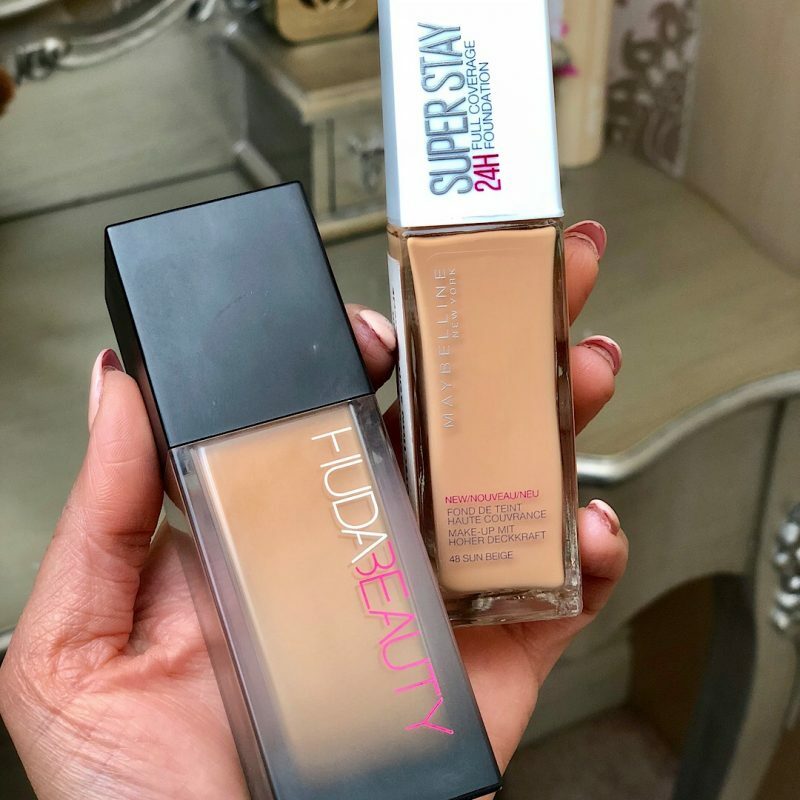 Is Maybelline SuperStay foundation a dupe for Huda Beauty Faux Filter? 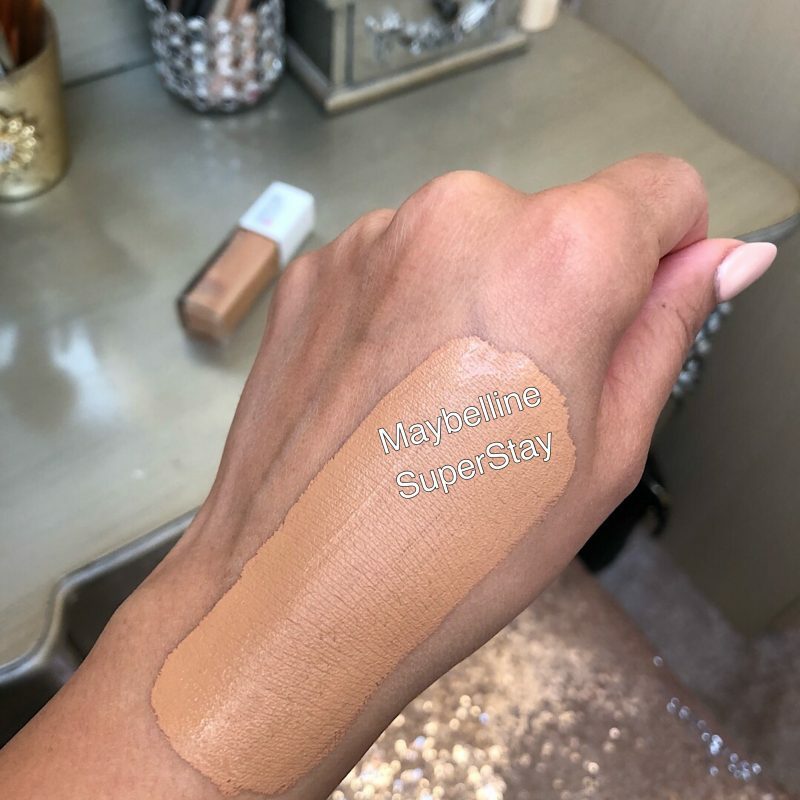 So Maybelline SuperStay is a 24h full coverage foundation. It’s suppose to completely cover your flaws and imperfections to give a high impact make up look. It’s a soft matte finish and is suitable for all skin types. I bought shade Sun Beige which was a pretty good match. I’m shade Toffee in Faux Filter but find that a little too dark. So I went for a slightly lighter shade with SuperStay because I find that full coverage foundations tend to oxidise quite a lot (get orange/darker throughout the day). So with SuperStay I went for a shade lighter. For a drug store foundation I thought the packaging was OK, I guess I didn’t expect much given the price. But I really didn’t like the white lid/cap it looks cheap. I liked the fact that it had a pump dispenser, it just makes it so easy to use. The price is VERY reasonable I mean for £9.99 is totally affordable. The coverage is full and pigmented and covered my spots and blemishes pretty well. However I did have to use around 3 to 4 pumps to get a high impact look. The foundation still felt super light weight and blended in very well. I also like the fact that it’s a soft matte finish, pretty similar to my Fenty Pro’filter foundation finish. I didn’t get to wear the foundation for 24h but I did wear it for around 8h. My skin is combinational and I found that the colour held up pretty well. But what I did find was that the foundation ended up settling around my under eyes and fine lines. 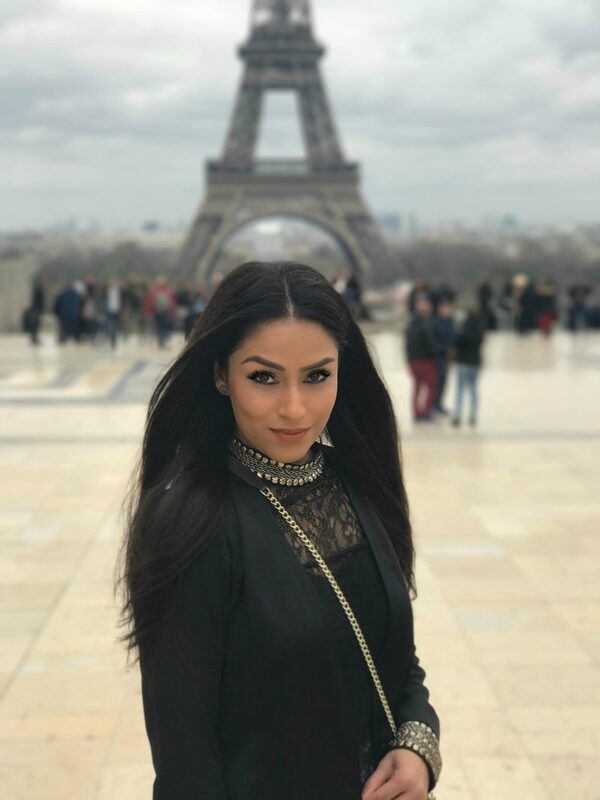 So is it a dupe for Huda Beauty Faux Filter? 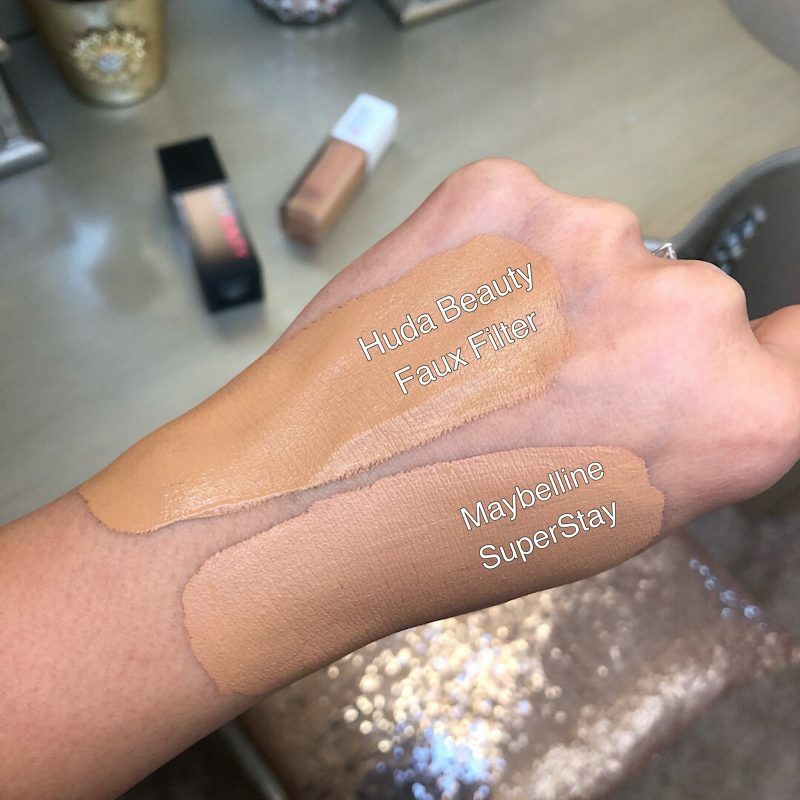 Both foundations are full coverage, but SuperStay is a soft finish compared to Faux Filter which is a matte finish. I prefer a soft matte finish when it comes to full coverage foundations. So Maybelline SuperStay ticks the box here. I like the fact that SuperStay feels light on the skin, whereas Faux Filter feels really heavy and thick. I always break out after using Huda Beauty Faux Filter but Maybelline SuperStay didn’t cause me any breakout issues, maybe because the formula is non-comedogenic so that it won’t block your pores. So Maybelline SuperStay wins here. In terms of blending both foundations blended into my skin well, I didn’t really have a preference here. 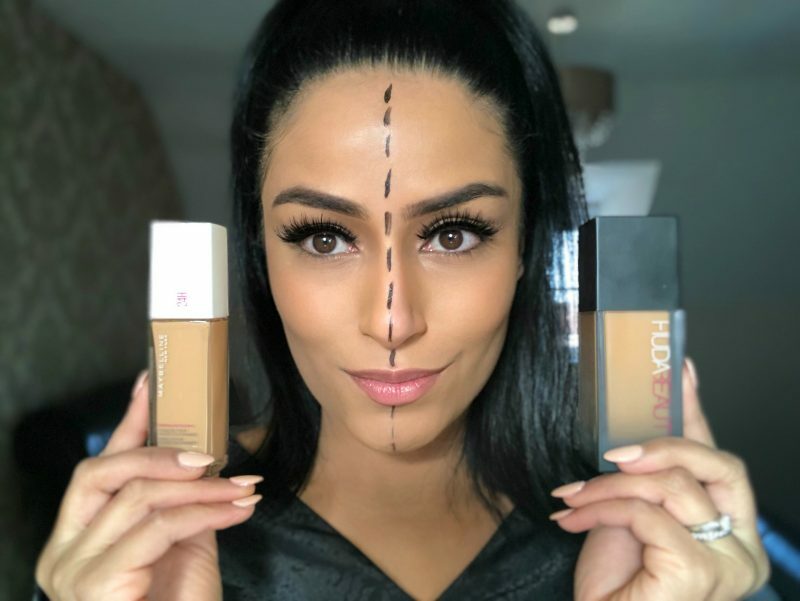 both foundations wear well throughout the day, but Huda Beauty Faux Filter feels like your wearing foundation. 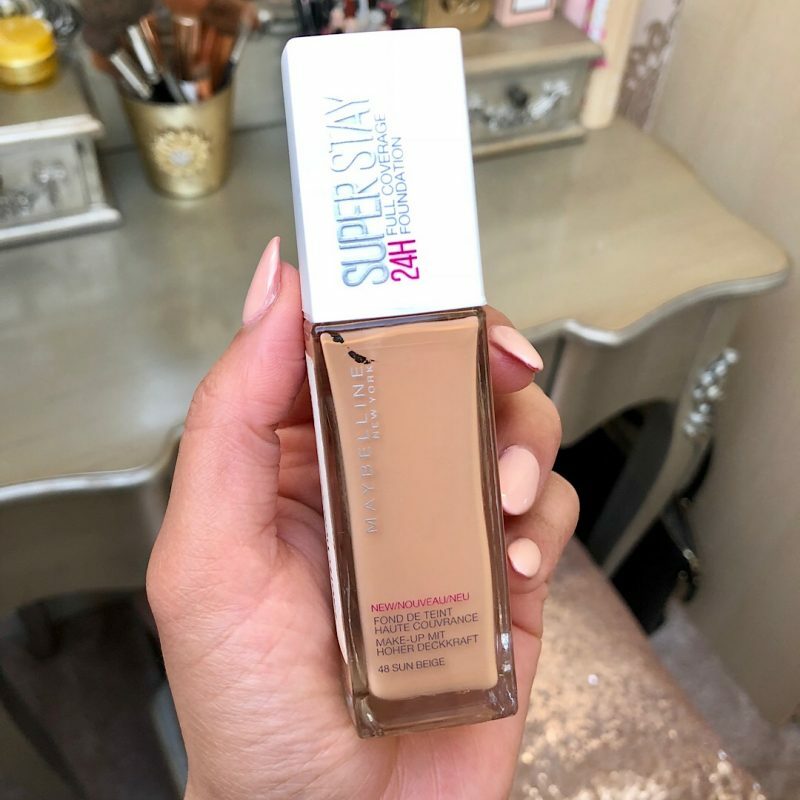 Whereas the lightweight texture of Maybelline SuperStay makes it a more comfortable day to day full coverage foundation. So again Maybelline takes this one. Price wise, clearly Maybelline SuperStay is a lot more affordable at £9.99. I mean you could by 3 bottles for the price of one Huda Beauty Faux Filter at £32. 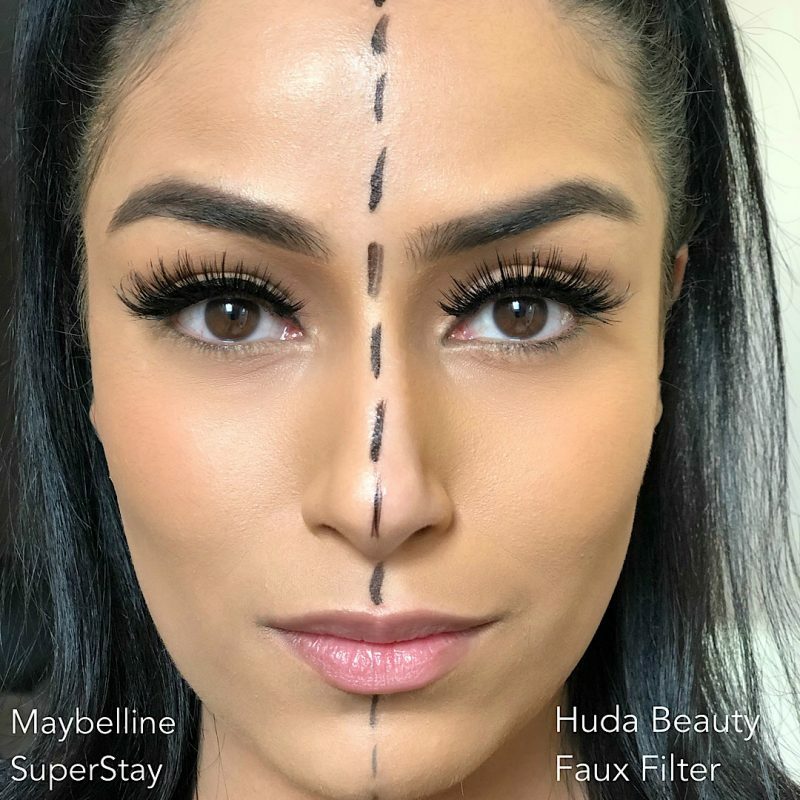 The bottom line is, if your looking for an affordable lightweight, soft matte dupe for Huda Beauty Faux Filter then Maybelline SuperStay is the way forward. It ticks a lot of the boxes as Huda Beauty Faux Filter but at a more affordable price. 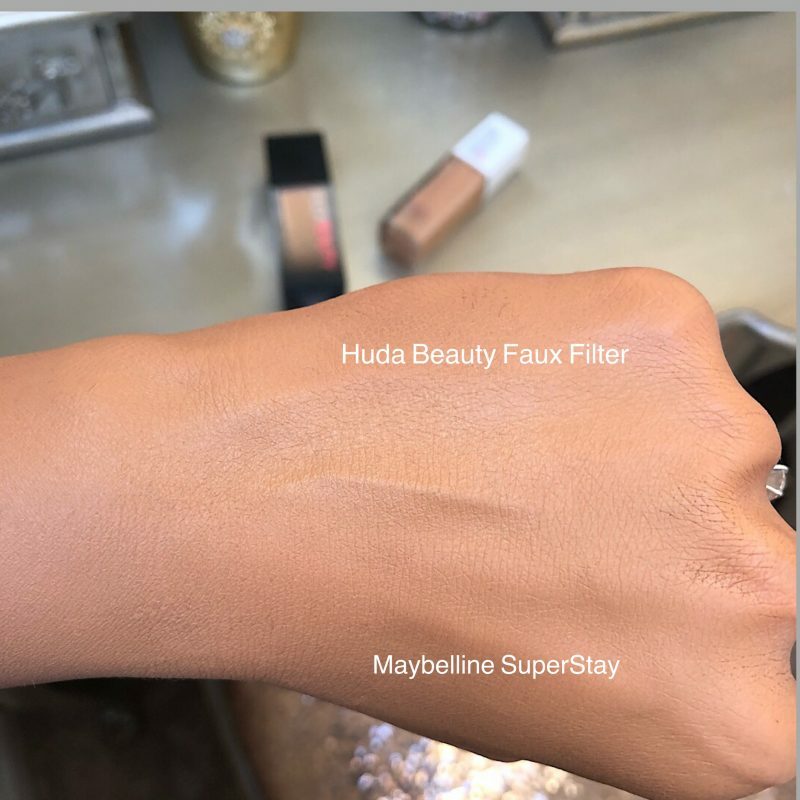 So overall Maybelline SuperStay is a great dupe for Huda Beauty Faux Filter. I’ve also done a quick 1 minute tutorial video on my instagram, you guys can watch it at this link.